In 1990, we got our start maintaining & repairing pools as Pristine Pool Service. 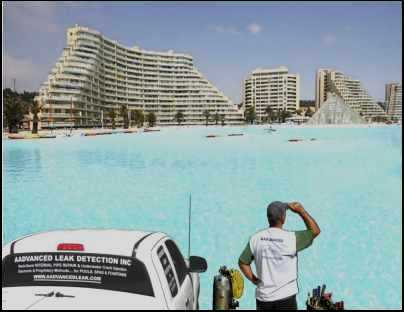 After finding & fixing leaks in our own customer's pools for several years we gradually evolved into Aadvanced Leak Detection. Since 1996 we've been exclusively detecting & repairing leaks in both residential & commercial pools throughout Central Florida. Known for our thorough & innovative leak detection techniques, Aadvanced Leak Detection boasts a 100% Leak Detection Rate. This commitment to excellence has made us the most productive leak detection company in Central Florida--detecting & repairing more leaks than any other company.